Today’s tidbit will be considerably lighter than yesterdays and will mostly be a pictorial. However, I will give a brief summary of the less well-known makes. Most of the cars shown here are not the actual cars but representative of the make and the date as referenced in the book (page number are in parentheses). It will be indicated as such if it is the actual car. The result was a single 1930 line called Great Eight. Great it wasn't. At 213.5 cubic inches, its engine was actually smaller than previous Hudson sixes, had just 80 horsepower to move a heavy chassis, and wasn't as sturdy. Hudson stayed with this engine for the optimistically named Greater Eights of 1931-32 -- in retrospect it was a mistake for a depressed market where sixes would surely have sold better. 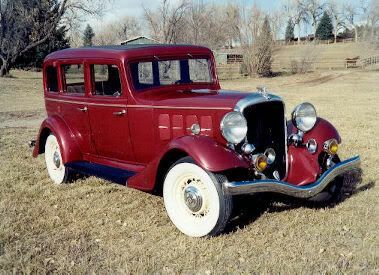 Seeing the error of its ways, Hudson launched a new Super Six for its 1933 "Pacemaker" line -- the car was essentially the 73-bhp 193-cid Essex Terraplane engine in the 113-inch Hudson chassis. That year's Eights comprised four 119-inch-wheelbase standard models and five luxurious Majors on a 132-inch platform. But production bottomed out at under 3000. Interesingly, Eights outsold Sixes nearly 2-to-1. For 1934, Hudson again abandoned sixes, reserving them for the new Terra¬plane line that replaced Essex as the firm's "companion" marquee. In 1954, Hudson merged with Nash-Kelvinator Corporation to form American Motors (AMC). The Hudson name was continued through the 1957 model year, after which it was dropped. Nash Motors was founded in 1916 by former General Motors president Charles W. Nash who acquired the Thomas B. Jeffery Company. Jeffery's best known automobile was the Rambler. Nash enjoyed decades of success by marketing mid-priced cars for middle class buyers. From 1938 to 1954, Nash was the automotive division of the Nash-Kelvinator Corporation. In January 1954 Nash announced the acquisition of the Hudson Motor Car Company as a friendly merger, creating American Motors Corporation (AMC). 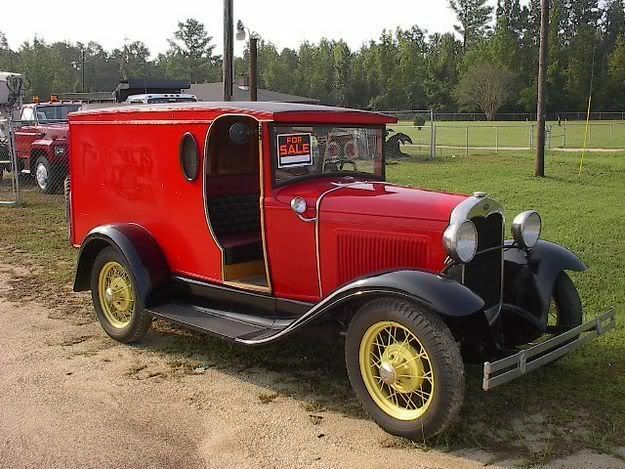 Cord was the brand name of a United States automobile, manufactured by the Auburn Automobile Company from 1929 through 1932 and again from 1936 to 1937. 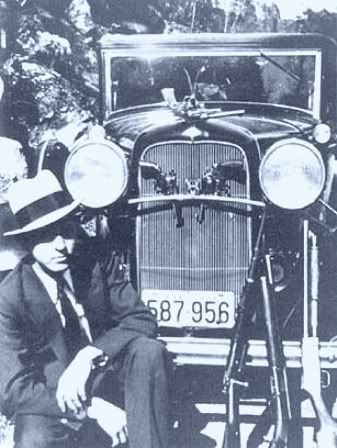 The Cord Corporation was founded and run by Errett Lobban Cord as a holding company for his many transportation interests, including the Auburn Automobile Company. Cord was noted for its innovative technology and streamlined designs. It is said that Mr. Cord had a philosophy to build truly different, innovative cars, believing they would also sell well and turn a profit. This did not always work well in practice. Cord innovations included front wheel drive on the L-29 and retractable headlights on the 810, neither of which were common on other makes until many years later. The early Oldsmobile Toronados, whose GM stylists later stated they were trying to capture the "feel" of the Cord's design, also featured retractable headlights. In addition to cars, Studebaker added a truck line, which in time, replaced the horse drawn wagon business started in 1852. 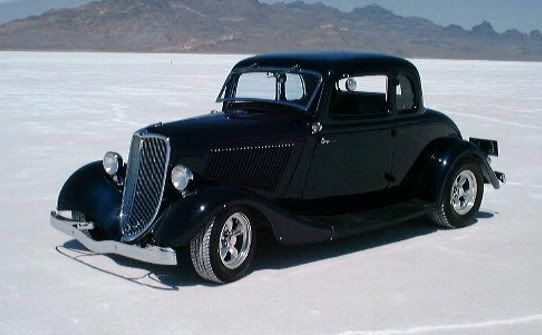 In 1926, Studebaker became the first automobile manufacturer in the United States to open a controlled outdoor proving ground; in 1937 the company planted 5,000 pine trees in a pattern that when viewed from the air spelled "STUDEBAKER." From the 1920s to the 1960s, the South Bend company originated many style and engineering milestones, including the classic 1929-1932 Studebaker President and the 1939 Studebaker Champion. During World War II, Studebaker produced the Studebaker US6 truck in great quantity and the unique M29 Weasel cargo and personnel carrier. After cessation of hostilities, Studebaker returned to building automobiles that appealed to average Americans and their need for transportation and mobility. However, ballooning labor costs, quality control issues, and the new car sales war between Ford and General Motors in the early 1950s wreaked havoc on Studebaker's balance sheet. There was also a labor strike at the South Bend plant in 1962. Hoping to stem the tide of losses and bolster its market position, Studebaker allowed itself to be acquired by Packard Motor Car Company of Detroit; the merged entity was called the Studebaker-Packard Corporation. Studebaker's cash position was far worse than it led Packard to believe and, in 1956, the nearly bankrupt auto-maker brought in a management team from aircraft maker Curtiss-Wright to help get it back on its feet. At the behest of C-W's president, Roy T. Hurley, the company became the American importer for Mercedes-Benz, Auto Union, and DKW automobiles, and many Studebaker dealers sold those brands as well. In 1958, the Packard name was discontinued, although the company continued to bear the Studebaker-Packard name through 1962. With an abundance of tax credits in hand from the years of financial losses, at the insistence of the company's banks and some members of the board of directors, Studebaker-Packard began diversifying away from automobiles in the late 1950s. While this was good for the corporate bottom line, it virtually guaranteed there would be little spending on Studebaker's mainstay products, its automobiles. The automobiles that came after the diversification process began, including the ingeniously-designed compact Lark (1959) and even the Avanti sports car (1963), were based on old chassis and engine designs. The Lark, in particular, was based on existing parts to the degree that it even utilized the central body section of the company's 1953 cars, but was a clever enough design to be quite popular in its first year, selling over 150,000 units and delivering an unexpected $28 million profit to the automaker. Packard was a United States based brand of luxury automobile built by the Packard Motor Car Company of Detroit, Michigan, and later by the Studebaker-Packard Corporation of South Bend, Indiana. The first Packard automobiles were produced in 1899; and the brand went off the market in 1958. 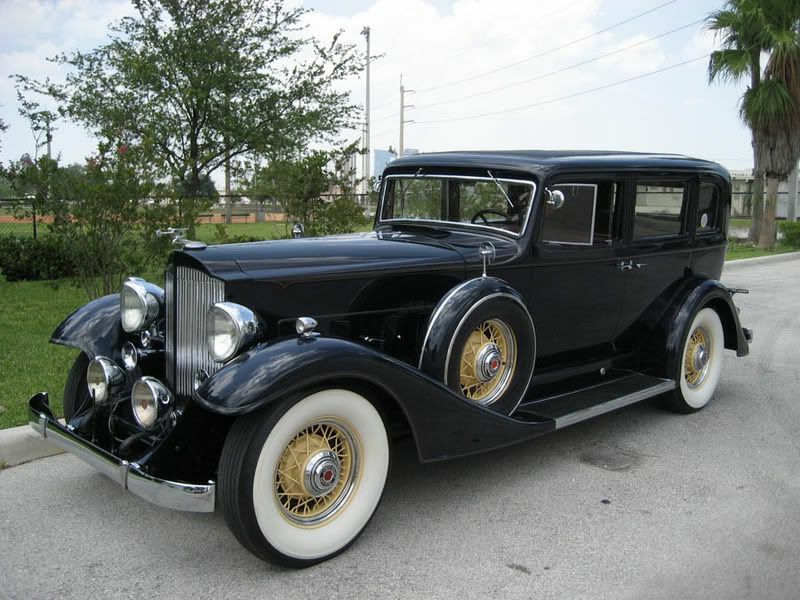 Packard automobiles are highly sought after by collectors today, and the marque enjoys an active collectors club system. Packard was founded by brothers James Ward Packard, William Doud Packard and his partner George Lewis Weiss in the city of Warren, Ohio. James Ward believed that they could build a better horseless carriage than the Winton cars owned by Weiss (An important Winton stockholder) and James Ward, himself a mechanical engineer, had some ideas of how to improve on the designs of current automobiles. By 1899, they were building vehicles. 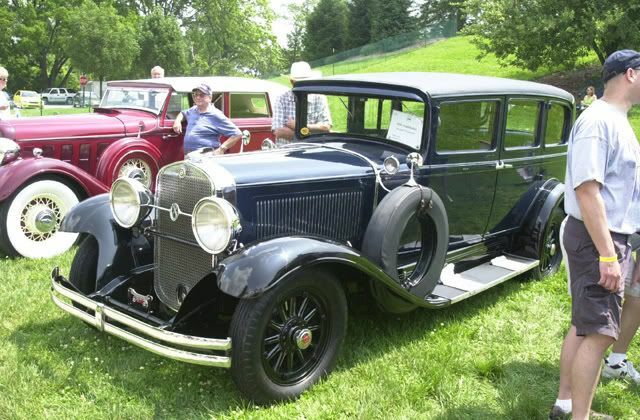 The company, which they called the Ohio Automobile Company, quickly introduced a number of innovations in its designs, including the modern steering wheel and, years later, the first production 12-cylinder engine. In need of more capital, the Packard brothers would find it when Henry Bourne Joy, a member of one of Detroit's oldest and wealthiest families, bought a Packard. 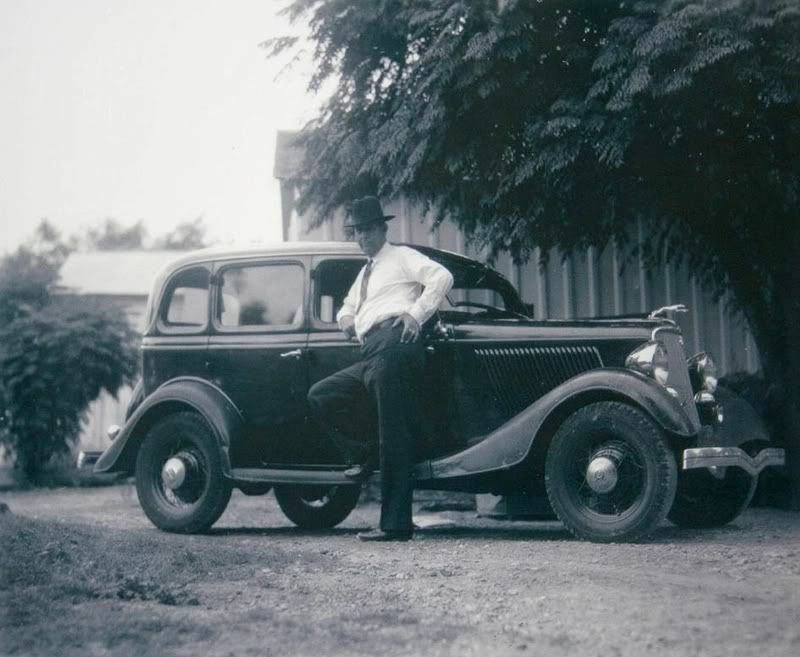 Impressed by its reliability, he visited the Packards and soon enlisted a group of investors that included his brother-in-law, Truman Handy Newberry. On October 2, 1902, Ohio Automobile Company became Packard Motor Car Company, with James as president. Packard moved its automobile operation to Detroit soon after and Joy became general manager and later chairman of the board. Throughout the nineteen-tens and twenties, Packard built vehicles that were consistently were among the elite in luxury automobiles. The company was commonly referred to as being one of the "Three P's" of American motordom royalty, along with Pierce-Arrow of Buffalo, New York and Peerless of Cleveland, Ohio. Packard's leadership of the luxury car field was supreme. 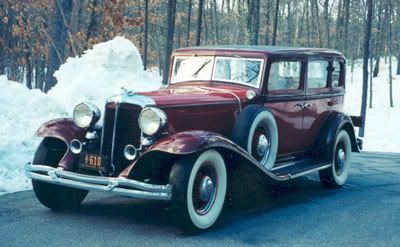 Entering into the 1930s Packard attempted to beat the stock market crash and subsequent depression by manufacturing ever more opulent and expensive cars than it had prior to October 1929. 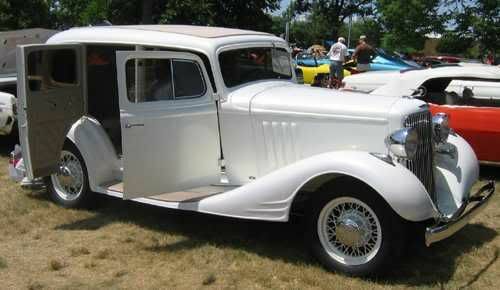 The Packard Twin Six was introduced for 1932, and renamed the Packard Twelve for the remainder of its run (through 1939). 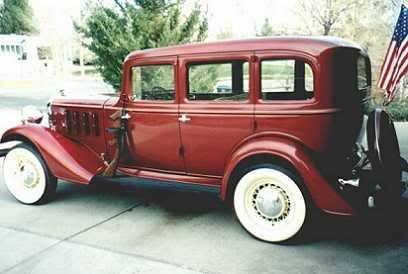 For one year only, 1932, Packard tried fielding an upper-medium-priced car called the Light Eight. As an independent automaker, Packard did not have the luxury of a larger corporate structure absorbing its losses as Cadillac did with GM and Lincoln with Ford. However, Packard did have a better cash position than other independent luxury marques. 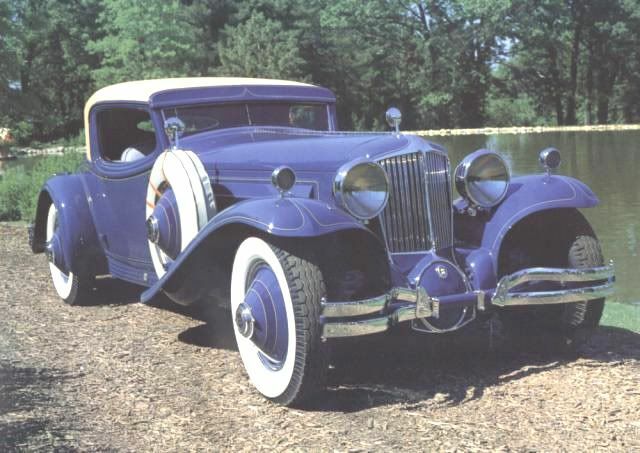 Peerless fell under receivership in 1929 and ceased production in 1932; by 1938 Franklin, Marmon, Ruxton, Stearns-Knight, Stutz, Duesenberg and Pierce-Arrow had all closed. Packard also had one other advantage that some other luxury automakers did not; a single production line. By maintaining a single line, and inter-changeability between models, Packard was able to keep its costs down. 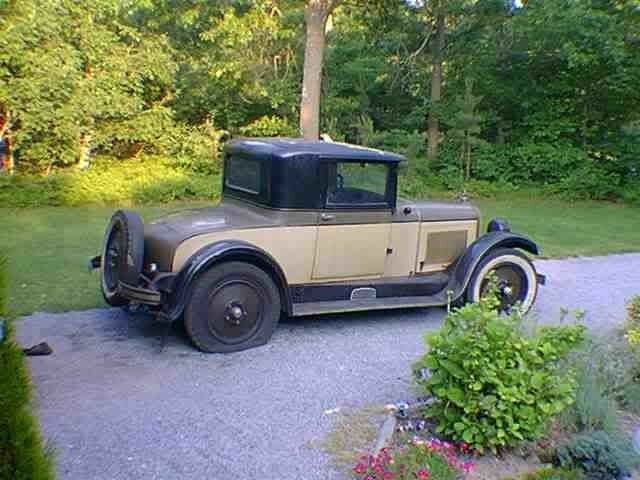 Packard did not change cars as often as other manufacturers did at the time. 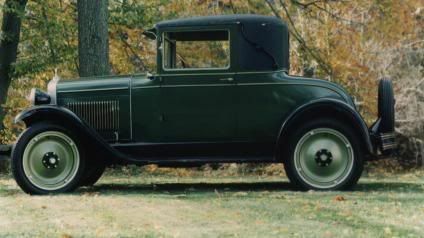 Rather than introducing new models annually, Packard began using its own "Series" formula for differentiating its model change-overs in 1923. New model series did not debut on a strictly annual basis, with some series lasting nearly two years, and others lasting as short a time as seven months. In the long run, though, Packard did average approximately one new series per year. 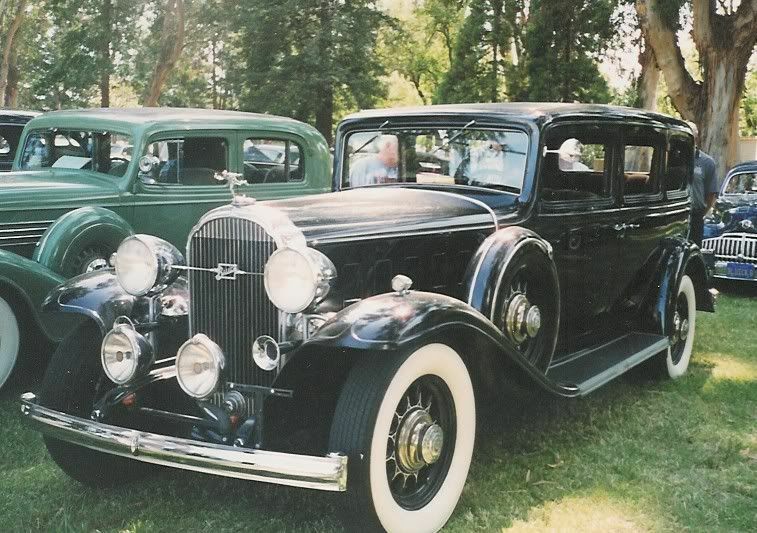 By 1930, Packard automobiles were considered part of the "Seventh Series". By 1942, Packard was in its "Twentieth Series". There never was a "Thirteenth Series". To address the depression, Packard started producing more affordable cars in the medium-price range. In 1935, it introduced its first sub-$1,000 car, the Packard 120. Car production more than tripled that year and doubled again in 1936. In order to produce the 120, Packard built and equipped an entirely separate factory. By 1936, Packard's labor force was divided nearly evenly between the high-priced "Senior" lines (Twelve, Super Eight and Eight) and the medium-priced "Junior" models, although more than 10 times more Juniors were produced than Seniors. This was because the 120 models were built using thoroughly modern mass production techniques, while the Senior Packards used a great deal more hand labor and traditional craftsmanship. The Junior models were very fine cars; they were just not in the same quality league as the Seniors. Although Packard most certainly could not have survived the Depression without the highly successful Junior models, the Juniors did have the effect of diminishing the Senior models stellar and exclusive image among those few who could still afford an expensive luxury car. Adding insult to injury, the 120 models were more modern in basic design than the Senior models. 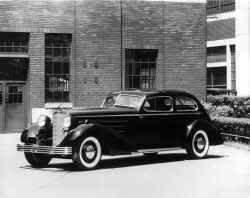 For example the 1935 Packard 120 featured independent front suspension and hydraulic brakes, both features that would not appear on any Senior Packards until 1937. In 1957 and 1958, a Studebaker President-based car bearing the Packard Clipper nameplate appeared on the market, but sales were slow. These badge engineered Studebakers were derisively referred to as Packardbakers by the press and consumers and failed to sell in sufficient numbers to keep the marque afloat. While the 1957 Packard Clipper was less Packard than it was a very good Studebaker, the cars sold in limited numbers – which was attributed to Packard dealers dropping the franchises and consumers fearful of buying a car that could be an orphaned make soon. Of note: Former Packard designer Richard A. Teague, seeing the new "Packardbaker" for the first time, commented that seeing his beautiful Packard taillights "...on that tired old Studebaker body, was enough to make a maggot vomit!" The 1958 models bowed with no series name, simply as "Packard". In addition to the knowledge that these cars were the last gasp by what had been thirty years before the biggest selling luxury car in the United States, their annual make-over on a budget usually set aside for a door-handle design at General Motors was awkward. Studebaker-Packard pulled the Packard nameplate from the marketplace in 1959 to focus instead on its compact Lark. In the Early 1960s, Studebaker-Packard was approached by French car maker Facel-Vega about the possibility of rebadging the company's Facel-Vega Excellence sedan as a "Packard" for sale in North America. Daimler-Benz, which was under a distribution agreement with Studebaker-Packard, threatened to pull out of the 1958 marketing agreement, which would have cost Studebaker-Packard more in revenue than they could have made from the badge-engineered Packard. In 1961 Sherwood Egbert was hired to be the company president. He was expected to help diversify the company. In the spring of 1962, four years after the last Packard car rolled off the assembly line, and eight years following the merger between Packard and Studebaker, the company dropped Packard from its legal name and reverted to the Studebaker Corporation name. The Studebaker Corporation still exists today. And this site claims there is still a Packard Motor Car Corp. located in Goodyear, AZ; but I can’t readily find it. 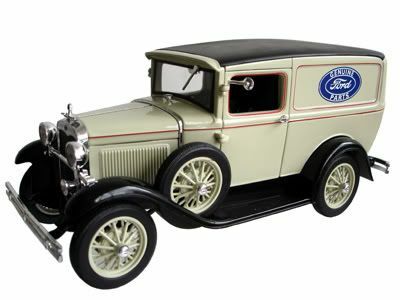 The "Ford V8" has historically referred to the Ford Flathead engine designed by Henry Ford. The Ford Flathead engine was introduced in the 1932 Model Year with its last year of production being 1953 for inclusion in U.S. manufactured Ford vehicles. The Flathead was the first Ford Motor Company V8 engine, other than the V8 that Lincoln was producing and had been producing since before Ford bought Lincoln, and ranks as one of the company's most important developments. Before the 1932 introduction of this engine (and the accompanying Ford V-8 automobile), almost all production cars aimed at the average consumer used straight-4 and straight-6 engines. "Multi-cylinder" engines (like V-8s and even V-16s) were produced, but were not intended for mass-consumption. In the United States the Flathead was replaced by the Ford Y-block engine in 1954. And the law used them too: "On February 10, I took the trail and followed it for exactly 102 days." WOW Liz -- great photos !!! I must say, Dillinger's Green Packard was my favorite. I just love antique cars. Lake Geneva (Wisconsin) has a Classic Car Rally every year. Our local news does a small report about it ... there are some really great cars showcased for the event. Wonder where the automobiles in the movie will be from ?? I bet Johnny will have a ball riding / driving these. Is it March yet ???? Looks like I missed Tidbit 4 -- I better get reading! OMG! I'm loving these pics! I've been looking at these classy cars waaay too long, trying to decide which one I like best...as soon as I say the Hudson sedan, I think, 'no, it's got to be the Green Packard'...then the sassy Chevy Sports Coupe comes into view and I've got to chose it, until I see Barker's Buick...and on it goes!! Actually any of 'em will be my favorite as soon as Johnny gets behind the wheel! again! What fun the cast and crew will have with these wonderful automobiles! Btw, part of Jack Kerouac's trip in "On the Road" was taken in a Hudson. I think all of these cars are cool, but I think it has to be the Packard for me. I wish I had found a picture of a green one from the correct year. In fact, you have probably noticed the colors didn't always correspond to the actual colors of the cars. We do what we can with what we have. I like the Studebaker best. But the Sports Coupe is high up there too. What larks! Yes I can see them having fun with these too. Boys and their toys - but these have a wider appeal too. One of the things in the book that I found notable was how unreliable some of the cars were back then. 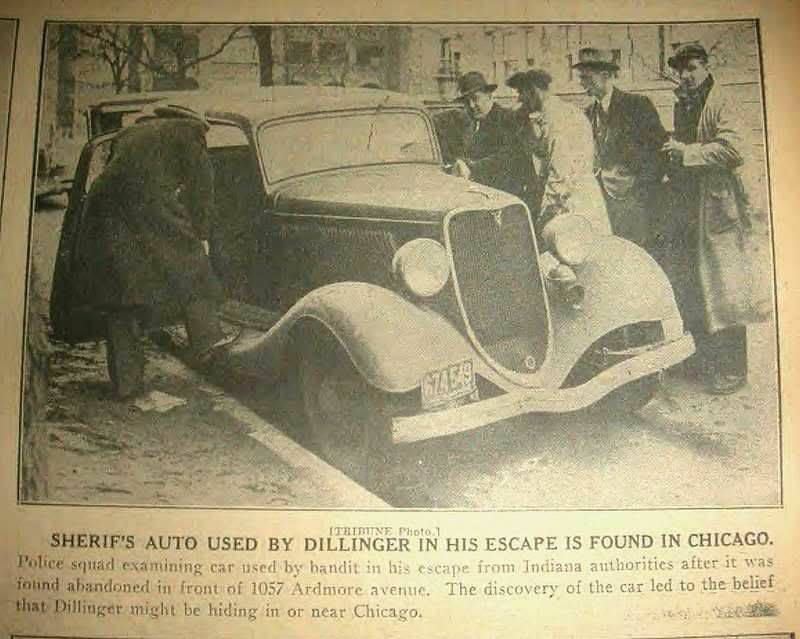 ( I promise not to discuss anything specific ahead of time).....When they had to grab a getaway car they usually had car trouble or ran out of gas and had to get another. Their own cars were the most reliable because most of them could afford the best and latest models. Liz wrote: We do what we can with what we have. And you (and DITHOT) do a fantastic job with the tidbits. for all your time and efforts researching and making these available. Can't tell you how much I'm enjoying this !!! You're kidding, right? That's not really Johnny's car, is it? Is it?? OMG!! I'm undone!! Quoted picture edited to URL link per Zone guidelines. I love all those cars!!! What fun it would be to ride around in any of them. Nicely done, Liz! I really don't know if he owned the car or just borrowed it to drive it there to impress Jay Leno because he collects cars and motorcycles. Here is the article right from our own JD archives. 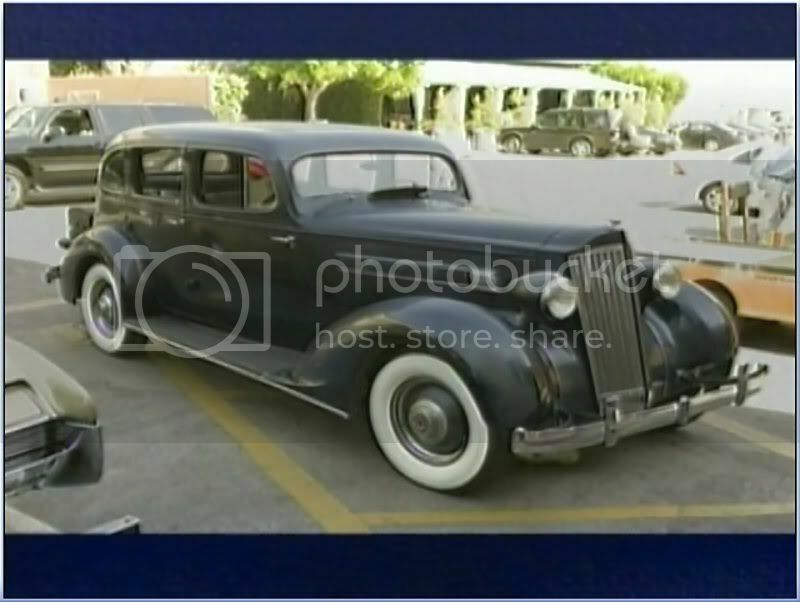 I notice on the show they said its a 35 Packard. Here is on online video of the show. I've been waiting for the cars tidbit! They are almost another character in the book. Thanks. Thanks, Lucky 13. We both have a lot of fun doing them. Gemini, I was having this memory while I was doing the tidbit that Johnny and Leno were talking about the patina on his car; and I was thinking it was one of these makes, but couldn't remember. Thanks for solving that mystery for me.